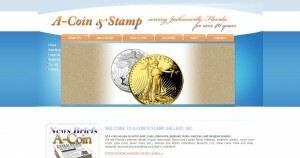 A-Coin and Stamp Gallery address, phone, website, hours of operation, and more. A-Coin and Stamp Gallery, Inc. is the Southeast’s premier dealer of gold, coins, silver, diamonds, platinum, Rolex watches, designer jewelry, stamps, rare and antique firearms, and other fine collectibles. We offer certified insurance appraisals along with fine jewelry sales, and repair. We custom make jewelry and diamond earrings and our Rolex collection is one of the finest in the world. We are able to pay more because of the sheer volume of business that we do. We are also able to sell you these fine jewelry items at the lowest price for that very same reason. So, whether you want to make some extra cash by selling your jewelry, or you want to find that special piece for your loved one at a great price, A-Coin and Stamp Gallery, Inc. wants to be your jeweler for life.